Answers to our problems, issues, and even day-to-day conundrums aren’t found in books or on TV, but in our own minds and hearts. We worry endlessly, of course. But the truth is, kids do come with a manual. We are our own best guides. Most of the time, answers to our problems, issues, and even day-to-day conundrums aren’t found in books or on TV, but in our own minds and hearts. Children live what they see. If one parent in a marriage is treated badly, the child learns that it this is acceptable. If they watch a parent choose gambling, addiction, or affairs instead of seeking help, the child concludes that she isn’t important. If the child’s attempts to talk about difficult conditions in the household are met with anger or rejection, the child believes his feelings aren’t valued or perhaps they aren’t real. Many of our parents were raised this way, and perhaps many of us were raised, too. I know it is how I was raised. Is it any wonder why so many parents today feel like they have no idea how to be a parent? People turn to doctors, books, TV shows, parenting gurus, government agencies, schools, the internet, and other parents. Yet kids are more neurologically and mentally ill now than at any other time in our history and the rates of diabetes, asthma and other autoimmune diseases previously only seen in adults is also higher than it has ever been. What we are doing isn’t working. Stefanie Jill Green wrote her 2004 doctoral thesis in Psychology at Florida State University on “Meanings and Experiences of Parental Intuition and Competence.” It is an 111 page study about intuition and parenting, and includes discussion about illness and medicine, business, creativity, wisdom, and other topics. It is fascinating and recommended reading to anyone interested in the subject. Click HERE for the PDF. What if our generation decided to do things differently? What if we relied most heavily on the manual that comes with the birth of our children, and has also been passed down unconsciously from generation to generation? Our intuition. While the easy access to information is wonderful, if we are on the internet more than we’re observing and talking with our kids, maybe we aren’t paying attention to the most valuable information of all. Find out what is going on in your children’s lives, with their friends and in school. Remember what it was like to be their age. You may have the perspective to know that life is long and school problems are a blip in time. But to them, their pain is now and very real. If you watch for subtle changes: eating habits, eye contact, sleep, body language. You’ll know when something isn’t quite right, perhaps even before they’re aware of it. More children than ever are being put on psychiatric drugs, often by doctors who do not specialize in Psychiatry. Many spend only one to two 15 or 20 minute visits with these kids before prescribing serious, brain altering medications. If you rush to the doctor before you check in with your intuition, you might find yourself filling a prescription for a condition that doesn’t sit right with you. There may be an undiagnosed learning disability. Rule out these and other possibilities before assuming that your child needs psychiatric medication. Always try counseling first, even if you have to interview more than one counselor. Don’t forget about family counseling as well. If putting your child on medication does not feel right to you, even if a doctor or other professional recommends it, stick to what your intuition is telling you. There is no magic pill. I always tell people, if raising your children is difficult, it means you are doing it right. Katie Beecher, MS, LPC is a Medical Intuitive, Art Therapist, and a Licensed Professional Counselor with over 25 years of expertise in working with children and adolescents. 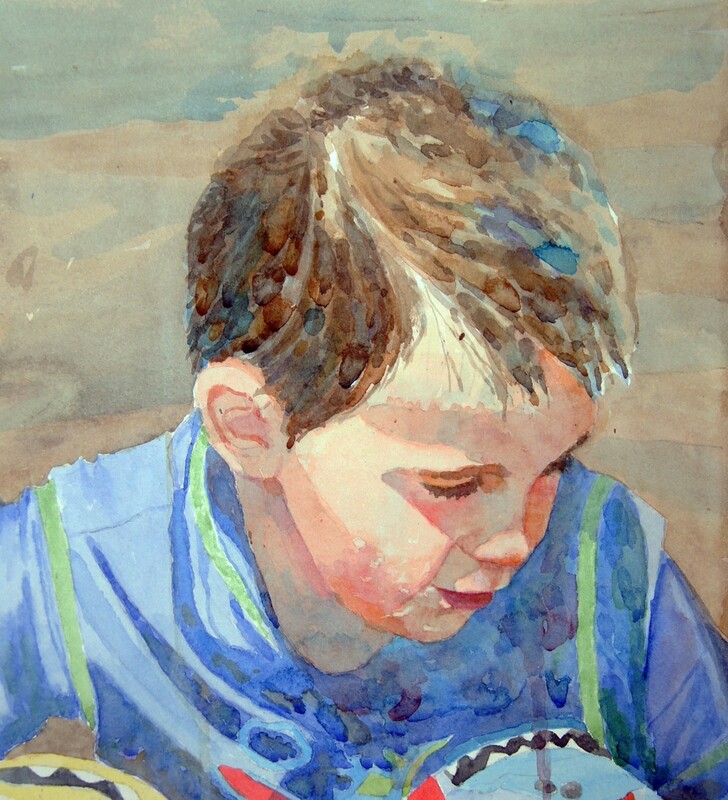 She is also a professional watercolor artist who regularly exhibits in New York City and nationally. Katie and her husband are the proud parents of two young women, ages 25 and 19. Originally published at fearlessparent.org on February 10, 2014.